In the middle of our conversation in December, Andy Cutting went on a wander, performing here, teaching workshops there. I had asked him some questions about the partnerships of his career — especially Blowzabella and Chris Wood. At the end of February, the answers arrived. Could you talk about Blowzabella? How did you encounter them, and then join? I knew of Blowzabella for several years before I really met them. 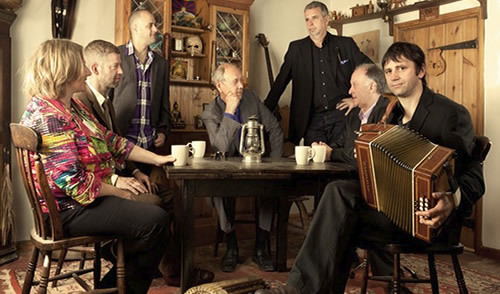 Through seeing them at various English folk festivals. In fact before I played the box! When I started to play, I went to a box workshop run by Riccardo Tesi at Sidmouth folk festival. Paul James, [Blowzabella’s piper and sax guy], was helping Riccardo and they asked me to play a bit. I discovered some years later that on hearing me pay Riccardo turned to Paul and said “you need to get him in Blowzabella.” Dave Roberts, box player, had recently left and Dave Shepherd (the violin player) was leaving, so that meant they wanted someone to fill their shoes. Fortunately for me I was in the right place at the right time. They asked me to a few of their gigs and then I received a letter saying I was now in the band. This wasn’t your first time playing French and European music, was it? As far as the European repertoire goes. I hadn’t really heard any until I was given a Castagnari catalogue which had photos of their range of instruments surrounded by LP’s made by people playing their instruments. I used these pictures to track down some of the records. Most notably Riccardo Tesi, Marc Perrone, and La Ciapa Rusa. It was just the catalyst I needed. The Vanilla recording really made quite the impact, what elements do you think came together to make that such a vibrant piece of work? When we recorded Vanilla the band had spent a year with the new line up, and we had played a lot of concerts so we were a really cohesive unit. Both socially and musically. Once in the studio we just got on and did the best we could. Recording the hurdy-gurdy (Nigel Eaton), bass/cittern (Ian Luff) and box live, then building the track up from that. It was a residential studio so we were all together with no real distractions. A very enjoyable time for me. Could you talk about the vision of the group? The focused/multi-cultural, complex/simple, thoughtful/intuitive blend? As a band. 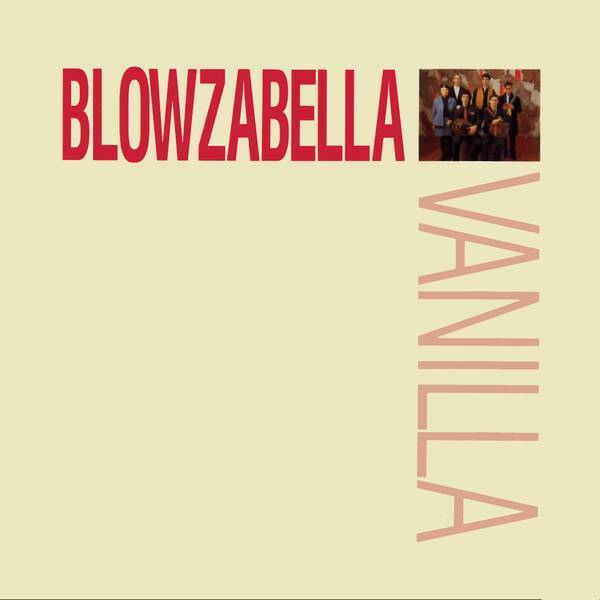 Blowzabella doesn’t really fit into any of the folk genres. We have always just ploughed our own furrow. The band started off playing bagpipe and hurdy-gurdy music from wherever they could find it. Since then we have written more and more of our own music so now it is almost entirely self composed English dance music. Well. Our hurdy-gurdy player (Gregory Jolivet) is French so he is having an influence on our repertoire now. Which is great. I like things to evolve. With the recent work (Octomento), and work I’ve seen from you and Gregory Jolivet, it feels as if a kind of renaissance is happening for Blowzabella. Is that accurate? Or just wishful thinking on my part? With Greg and Barnaby Stradling (bass) they have bought a new energy to us all. We are starting to play a bit more and are working on a new record. It is also our 35th anniversary this year. I suppose with all that there is more media interest and so people are being reminded that the band is still a going concern. If that’s a renaissance, then, yes I suppose that it whats happening. Next: The Andy Cutting/Chris Wood partnership.